The itslearning learning management system (LMS) has increased integration to popular cloud apps like Microsoft’s Office 365 and Google’s G-Suite, enabling users to more easily add cloud files from these platforms into courses, assignments, the itslearning library and other features within the LMS. 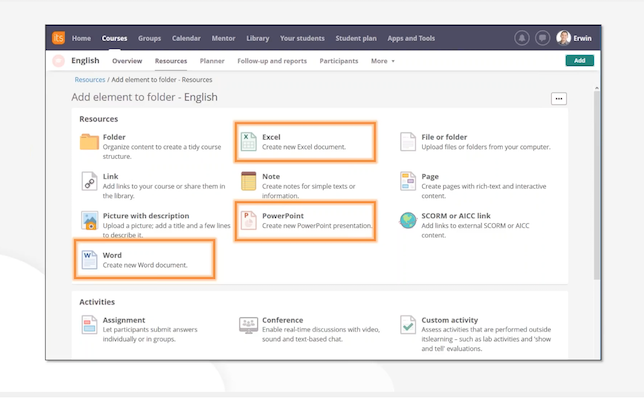 The company in a recent webinar said they wanted K–12 students and teachers worldwide using itslearning to be able to easily click an icon to create a Word document in the LMS. They are now able to work in Excel, Word, PowerPoint and more directly within the platform without using their Microsoft email account or entering any other user information. "We've leveraged the real power of cloud — that's great tools, great collaboration, ease of use and we're bringing it all into itslearning," said Steve Threadgold, an itslearning project manager, in a webinar. The LMS has plans to join the Microsoft Azure marketplace in the near future, according to the webinar. To learn more about itslearning and cloud integrations, watch the webinar below. Updated May 2, 9:00 a.m. to include video and additional information.